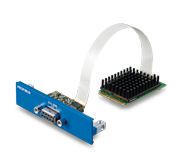 Advantech’s TPC series of modular panel PC solutions is based on three performance-segmented models — a control panel (TPC-5000), industrial thin client (TPC-2000), and Industrial monitor (FPM-7000). 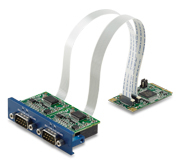 The modular design of this series allows the computing modules to be interchangeably combined with the display modules to provide various flexible platform solutions for specific field applications. 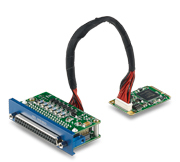 The TPC-5000 control panel module is equipped with a 6th generation Intel® Core™ i processor and high expandability, making it suitable for diverse machine control tasks, complex data visualization applications, and operation in extreme environments. 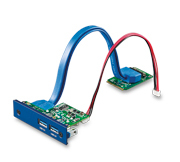 The TPC-2000 thin client module features a low-power consumption Intel® Atom™ processor and compact slim design, making it ideal for production process monitoring and MES integration. 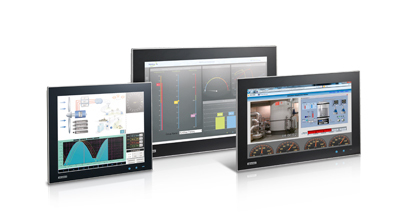 The FPM-7000 industrial monitor is a visualization interface designed to enable efficient human-machine interaction. 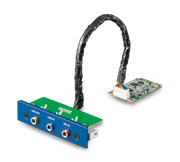 The modular design allows the video I/O to be flexibly configured and the base monitor module to be interchangeably combined with display panel modules of varying size, ensuring suitability for diverse applications. The TPC-1000 web terminal module features features low-power RISC-based web terminal supporting HTML5 browser is economical and ideal for process monitoring. 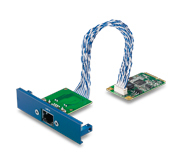 With a module-in-module design, the iDOOR module box can be easy configured for versatile customized applications. Advantech’s UNO series products are modular box platforms that feature a stackable design and are available as universal, custom, and domain-specific solutions. These platforms offer high flexibility and time-to-market support for a variety of applications. 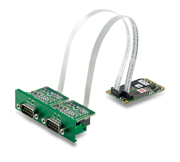 The optimized UNO model provides easy expansion via simple board-to-board connector, the universal UNO model can be equipped with up to 4 iDOOR expansion modules, while the customized UNO model is sufficiently versatile to support customization according to application requirements. 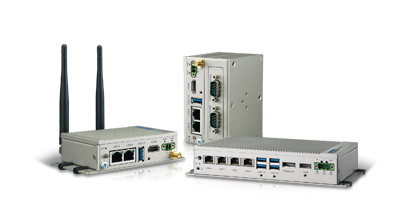 The universal UNO model features an Intel® Atom™/Core™ i7/i5/i3 processor with up to 4 iDOOR expansion modules and a stackable modular design. 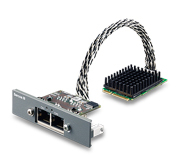 UNO-2484G can be rapidly customized and configured according to usage requirements. With the inclusion of rich I/O, the platform’s high customizability not only offers maximum flexibility for a wide range of industrial applications, but also reduces product development time and time-to-market. The optimized UNO model features an Intel® Atom/Core™ i7/i5/i3 processor with up to 8 GB of RAM and a compact slim design. 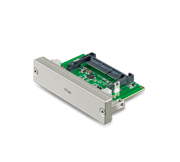 New UNO -2000 series are modular box platform, which implements universal, customized, and domain idea into and segmented by different form factor. Integrated with iDoor expansibility, UNO -2000 has incredible flexibility to fulfill every kinds of applications. 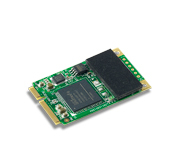 UNO-2271G is the world smallest embedded computer being the same size as a standard SSD, and the optimized performance of UNO-2484G is only 7.9” with TPM2.0 for Cyber Security. 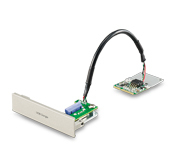 The industrial fieldbus iDOOR module supports most of the widely adopted industrial automation protocols, including CANopen, PROFIBUS, PROFINET, EtherCAT, EtherNET/IP, POWERLINK, and Sercos III. 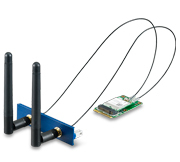 The wireless communication iDoor module provides Wi-Fi/Bluetooth, GSM/GPRS/3G, and LTE solutions for industrial IoT. 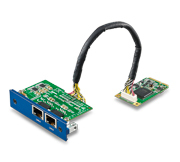 Industrial I/O and Peripheral iDoor modules support most of the widely adopted industrial interfaces and fulfill various customized expansion to faster response to rapid market. 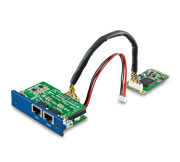 It includes serial communication RS-232, RS-422/485, digital I/O, Storage(NVRAM, USB, CFast), Security (TPM1.2), Network(GigaLAN, PoE), Display(iLink) and Peripheral(Audio, PCIe adapter card). 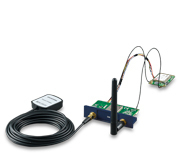 The wireless communication iDOOR module provides Wi-Fi/Bluetooth, Zigbee, RFID/NFC, GSM/GPRS/3G, and LTE solutions for industrial IoT. 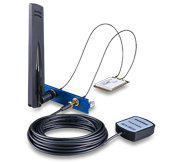 The Wi-Fi/BT/3G/4G antenna kit enables flexible configuration.